Bugaboo introduces the Bugaboo Runner jogging extension for active families. The Bugaboo Chameleon was our first stroller ever. It&apos;s fashionable and a comfy ride for long, secure walks. I&apos;ve reviewed a ton of stroller options and it still remains one of my favorites. I got the Bugaboo Bee with a kick board when Lucas was born and my two little buddies rolled around Manhattan with me with both style and ease. As a fan of the brand, I was excited to see Bugaboo launched a running stroller early this month for active parents who do not want to compromise a healthy and fit lifestyle. The Bugaboo Runner comes in two versions: as a complete jogging stroller and as an accessory for existing Bugaboo owners. The Bugaboo Runner is a separate chassis designed purely for running that works with every current Bugaboo stroller model. Simply click any Bugaboo stroller seat onto the chassis with a set of adapters for a high-performance jogging option. This allows your child to enjoy the comfort of the Bugaboo stroller seat they already love. The Runner is the only stroller on the market to offer this option of not having to buy two separate strollers. Also unique to the Bugaboo Runner is that you can choose to jog with your child (from 9 months) facing you, or looking out at the world. The Bugaboo Runner jogging extension (chassis and seat adapters) retails for $400. As a complete jogger, the Bugaboo Runner retails for $815 (chassis, seat, and seat adapters). For additional information and specs, please visit Bugaboo.com. While I haven&apos;t tried the Runner myself yet, I&apos;ve had nothing but positive experiences with all the joggers I&apos;ve used. Being able to go for a run with your child is a great, sanity-saving activity whether you&apos;re a casual jogger or training for a more competitive adventure. 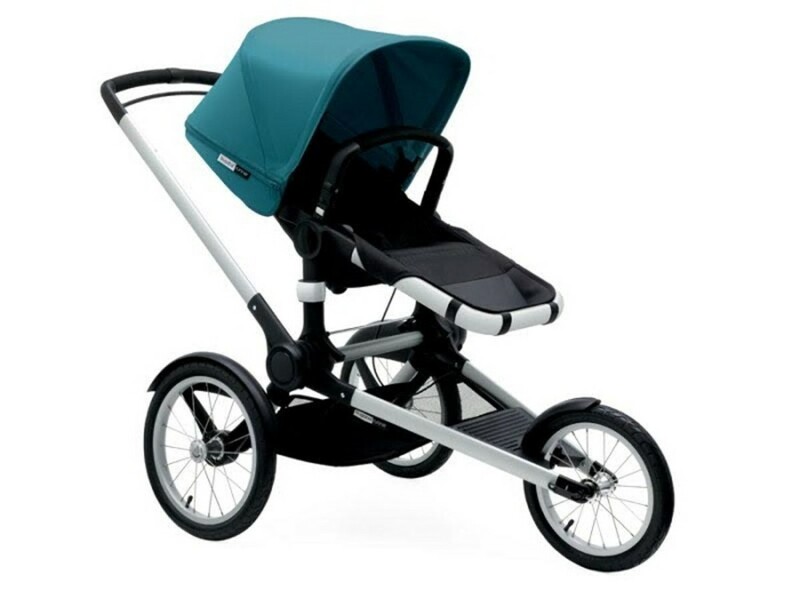 If you check out the Bugaboo Runner, please let us know your thoughts! #HowIStroll with the Baby Jogger F.I.T.